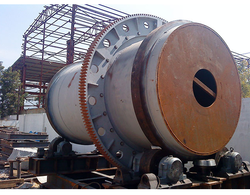 Prominent & Leading Manufacturer from Chennai, we offer mica ore beneficiation plant, manganese ore beneficiation plant, iron ore mixing unit, laterite iron ore beneficiation plant, feldspar beneficiation plants and iron ore processing plants. 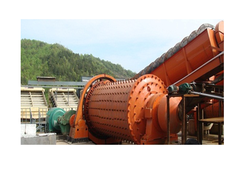 Mica Ore beneficiation Plants turnkey solution is provided by Star Trace. 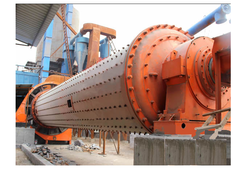 We are one of the leading project suppliers for Mica Ore Beneficiation Plant and we work closely with our customers to fulfil their specific needs for a customized packaged solution. Specialized in the fabrication of these machines for 25 years and this enables us to be in a leading position in the field of Mica Ore Beneficiation Plant. 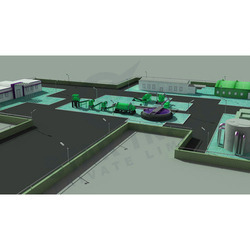 Turnkey solutions for Manganese Ore Beneficiation Plant is offered by Star Trace. We are one of the leading project suppliers for Manganese Ore Beneficiation Plant and we work closely with our customers to fulfil their specific needs for a customized packaged solution. Specialized in the fabrication of these machines for 25 years and this enables us to be in a leading position in the field of Manganese Ore Beneficiation Plant. The Iron Ore Mixing Unit from Star Trace offers turnkey solutions.We are one of the leading project suppliers for Iron Ore Mixing Unit and we work closely with our customers to fulfil their specific needs for a customized packaged solution.Specialized in the fabrication of these machines for 25 years and this enables us to be in a leading position in the field of Iron Ore Mixing Unit & equipment. Laterite Iron Ore Beneficiation plant by Star Trace offers turnkey solutions for Plants.We are one of the leading project suppliers for Laterite Iron Ore Beneficiation Plant and we work closely with our customers to fulfil their specific needs for a customized packaged solution.Specialized in the fabrication of these machines for 25 years and this enables us to be in a leading position in the field of Laterite Iron Ore Beneficiation Plant & equipment. Feldspar & Dolomite beneficiation plant are offered as turnkey solutions by Star Trace..We are one of the leading project suppliers for Feldspar & Dolomite beneficiation plant and we work closely with our customers to fulfil their specific needs for a customized packaged solution. Specialized in the fabrication of these machines for 25 years and this enables us to be in a leading position in the field of Feldspar & Dolomite beneficiation plant. 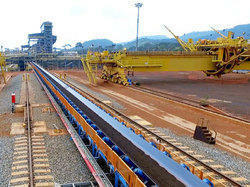 Iron ore processing plants are offered as turnkey solutions by Star Trace . We are one of the leading project suppliers for chromite ore plants and we work closely with our customers to fulfil their specific needs for a customized packaged solution. Specialized in the fabrication of these machines for 25 years and this enables us to be in a leading position in the field of iron ore processing plant & equipment. Capacity Depends on customer requirement. Copper Ore Tailing Plant is a turnkey solution provided by Star Trace .We are one of the leading project suppliers for Copper Ore Tailing Plant and we work closely with our customers to fulfil their specific needs for a customized packaged solution.Specialized in the fabrication of these machines for 25 years and this enables us to be in a leading position in the field of Copper Ore Tailing Plant & equipment. 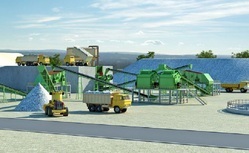 Looking for Iron Ore benefication Plants ?